Apilco dinnerware is a favorite among chefs. This French dinnerware is made of porcelain. The Apilco company was founded in 1826 by the Deshoulières family with the mission to create aesthetic dinnerware to meet the aspirations of the leading chefs. The result is an oven to tableware collection of high quality that is as durable enough to use as restaurant dinnerware and visibly attractive for a modern table setting. 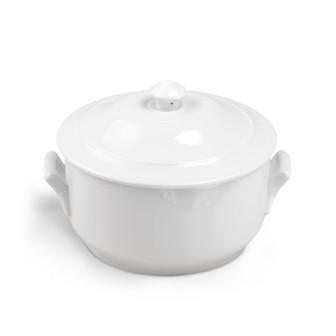 In general, chefs prefer whiteware, white dinnerware with little to no designs. Designs have a tendency to compete with the aesthetically of the food that is being presented. To suit different preferences but stick with idea of not competing with the food, the dinnerware is created in whiteware, eggplant, red, green, taupe and yellow, some of the dinnerware selections are embossed, and some of the dinnerware has a blue trim on white dinnerware. 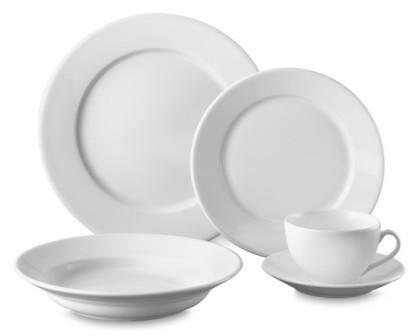 Personally, I am particularly fond of the whiteware selection offered by the Apilco dinnerware brand. These dishes were created through the vision of top French chefs. They inspire me to cook gourmet dishes. Porcelain dinnerware is of high value. It is referred to china or fine china. It is fired at a high temperature which results in strength and durability. The shell-like appearance makes it look dainty; however, the Apilco dishes are of restaurant quality, so it is very dependable in making your dishes look appealing while being long-lasting. I find this dinnerware, bakeware and serving accessories to be very inspiring. They make me want to prepare original dishes with an aesthetic viewpoint making entertaining guests something to look forward to.